Southwire 12/3 Type SPT-3 9-ft Flat appliance extension cord in gray color, has voltage rating of 250-Volt and current rating of 20-Amps. It includes right angle plug. 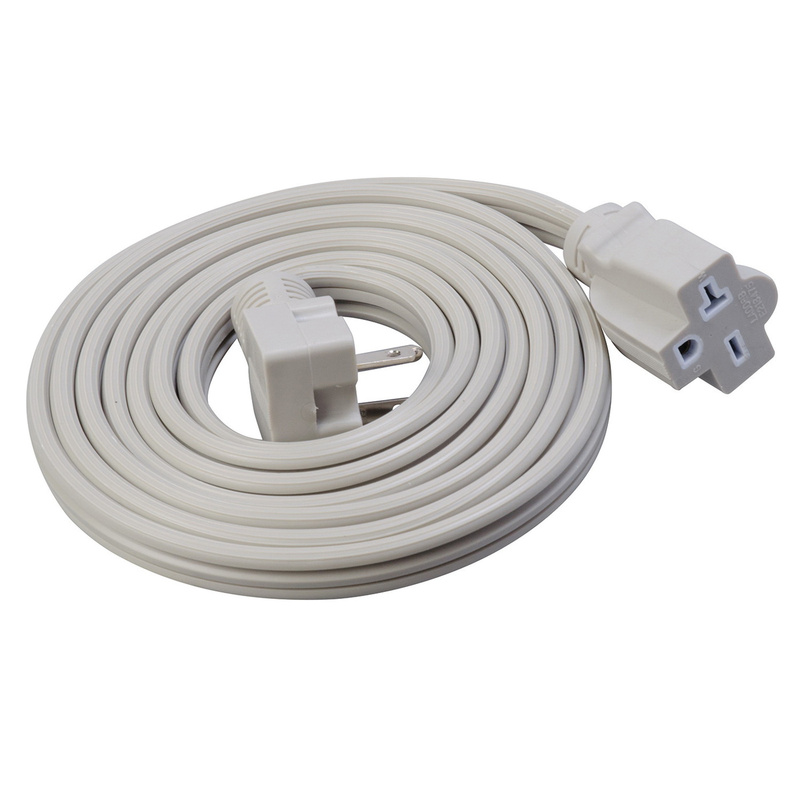 Cord is great for air conditioner and microwave. It works well at temperature ranging from -20 deg C to 60 deg C. Extension cord is UL/cUL listed.